In the framework of Creative Climate Leadership programme promoted by London-based charity Julie’s Bicycle and Slovenian NGO PiNA, artists and cultural professionals are invited to explore the cultural dimensions of climate change during an international five-day intensive Training Course on Creative Climate Leadership. Bringing together several expert guest speakers, the course aims to help artists and cultural leaders coming from all creative disciplines and art forms to develop skills, knowledge, and resilience in relation to climate change to make an impact in their local communities. Participants will learn ways to integrate environmental targets and the UN’s Sustainable Development Goals to their work and analyse the role of leadership in a rapidly changing world. The course will take place from 27-31 March 2017 at the Centre for Alternative Technology (CAT) in Machynlleth, Wales, an education centre specialized in researching practical solutions for sustainability and green living. The deadline for applications is 16 January 2017. Julie’s Bicycle works at a global level to explore the intersection between culture and environmental sustainability, supporting expertise and leadership in the creative sector to promote action on climate change and contributing to national and international climate change policy development. 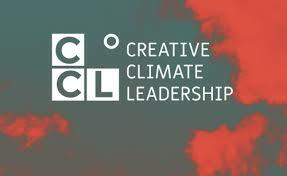 For more information and to apply, visit www.creativeclimateleadership.com.